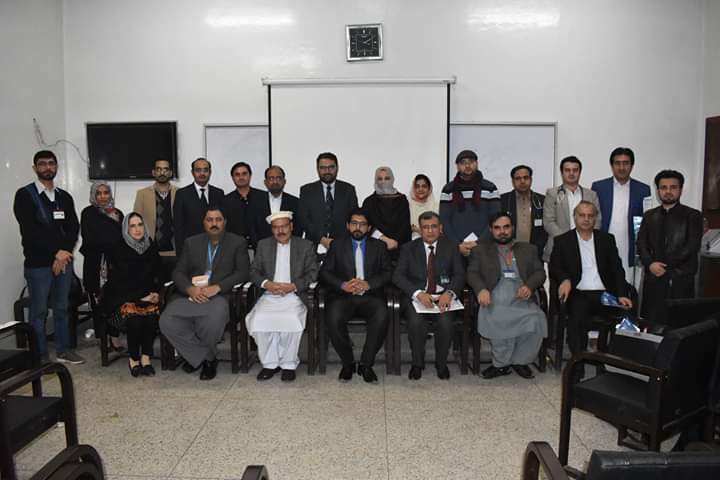 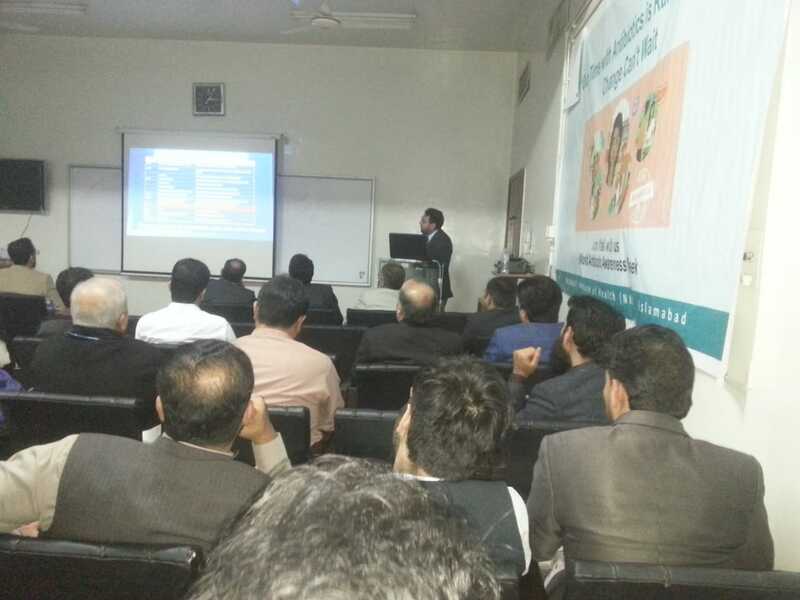 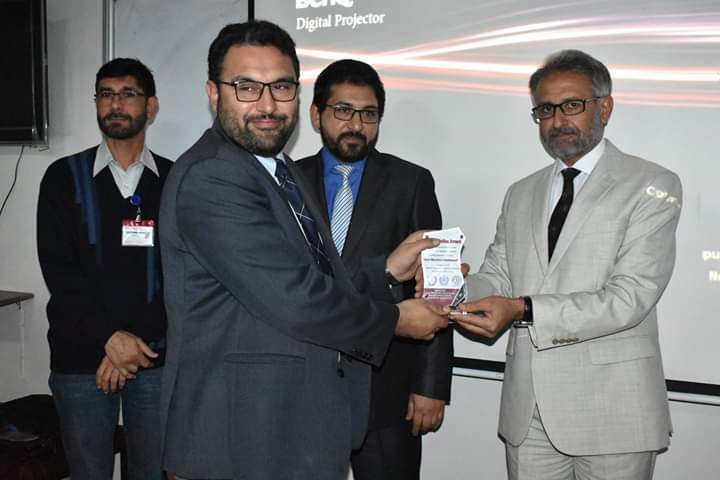 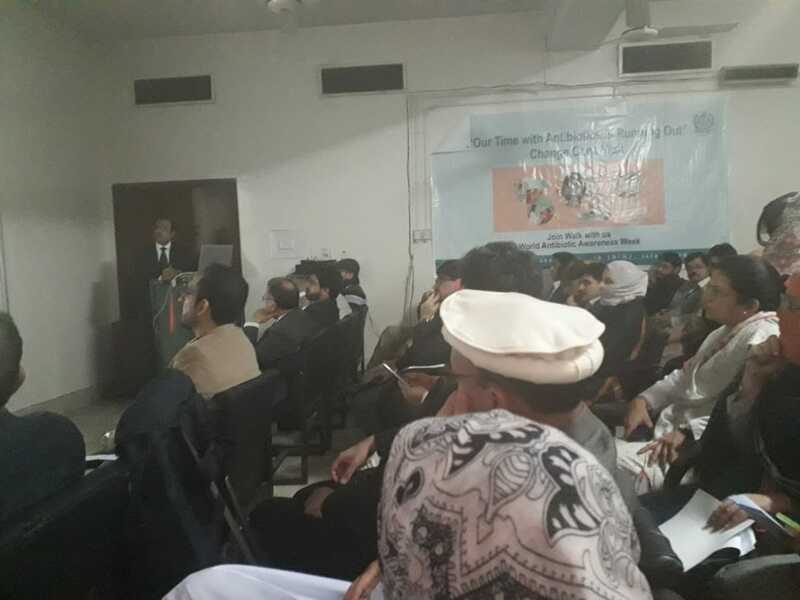 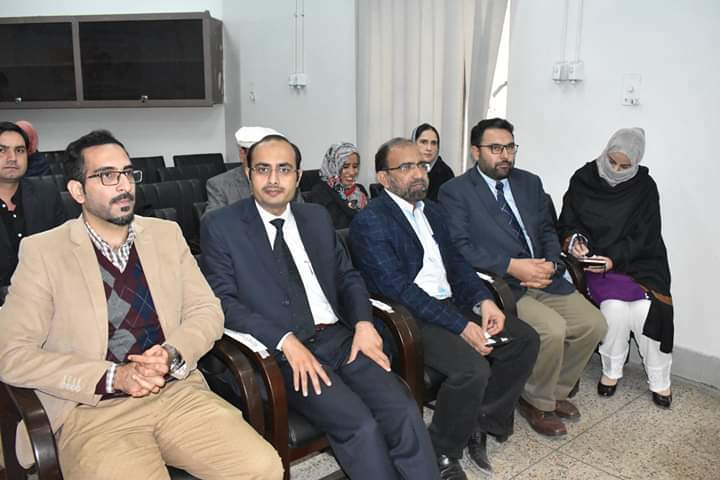 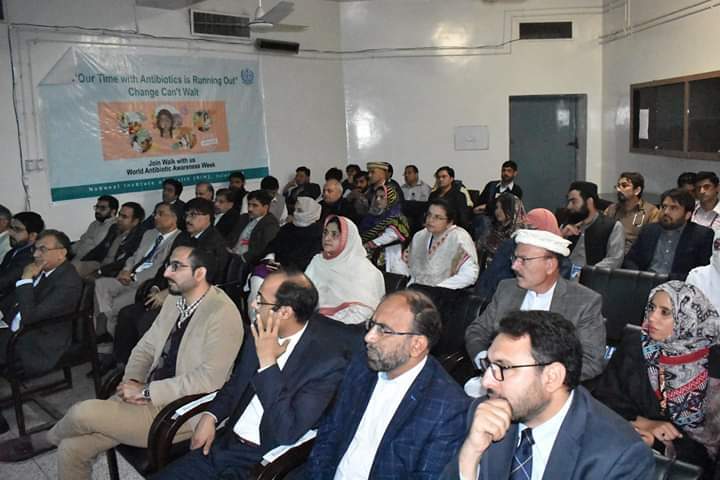 The National institute of Health (NIH) with Pakistan Association (PHA) and Health Department of Khyber Pakhtunkhwa jointly organized an awareness seminar on Antimicrobial Resistance (AMR) at Khyber Teaching Hospital Peshawar. 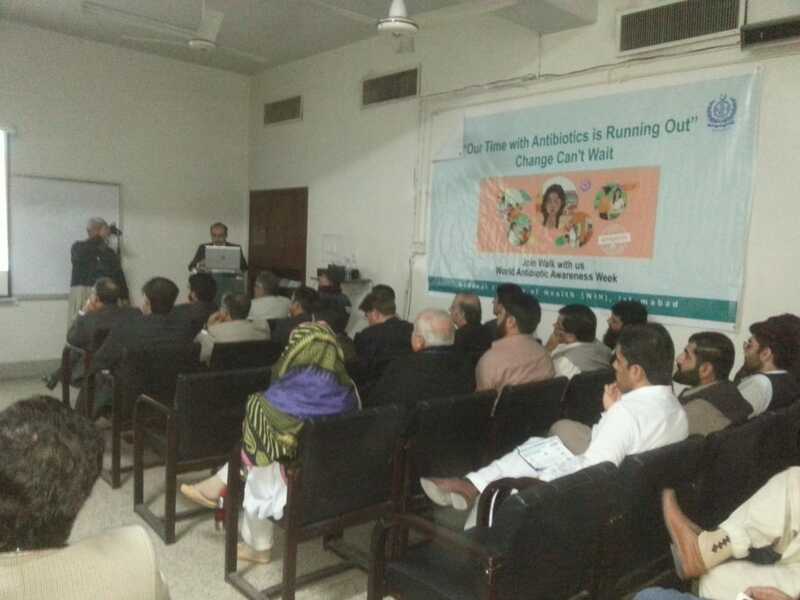 The event aimed at guiding people to reduce unnecessary use of antibiotics. 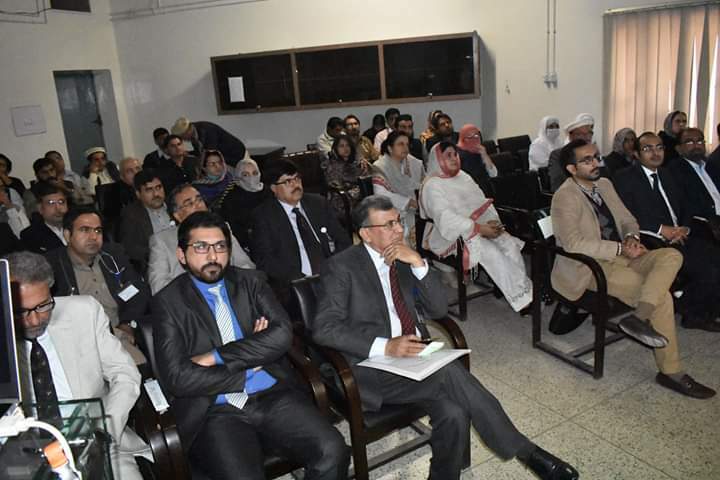 During the seminar, experts pointed out that antibiotics are considered as the foundation of modern medicine but its over use and misuse leads to emergence of antimicrobial resistance which is very harmful.